Cutest Snowman Snow Globe Craft Your Kids Will Ever Make! 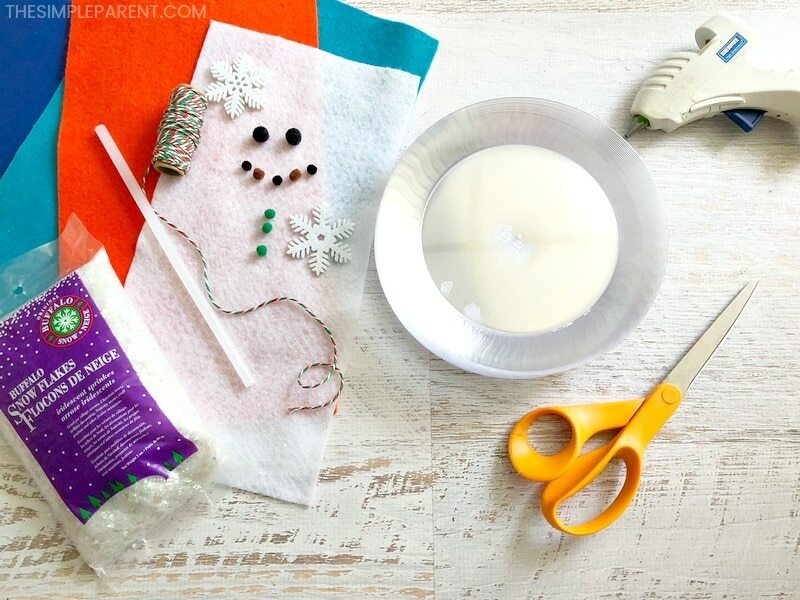 Home » Crafts & DIY » Cutest Snowman Snow Globe Craft Your Kids Will Ever Make! Facing a snow day with your kids? 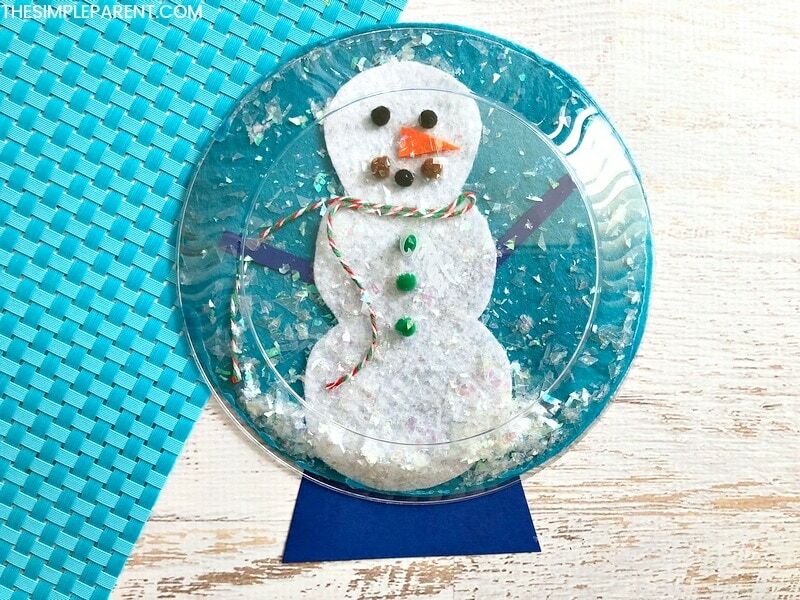 Make a snowman snow globe craft to keep them busy! Even though we live in south Texas, when it comes to winter, I’m all about snow! I always loved doing snow-related winter crafts for kids when I was teaching. Now that I’m a mom, I still break them out with my own kids! 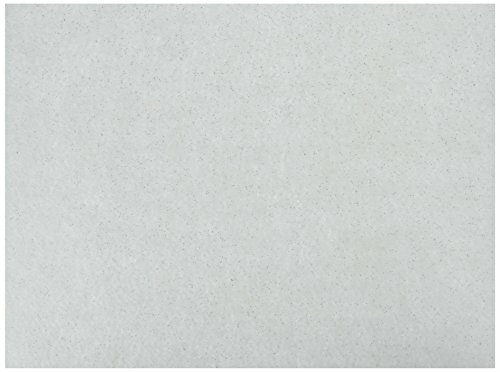 We’ve made an easy snowman paper plates craft and now we’ve got a new snowman on the block! 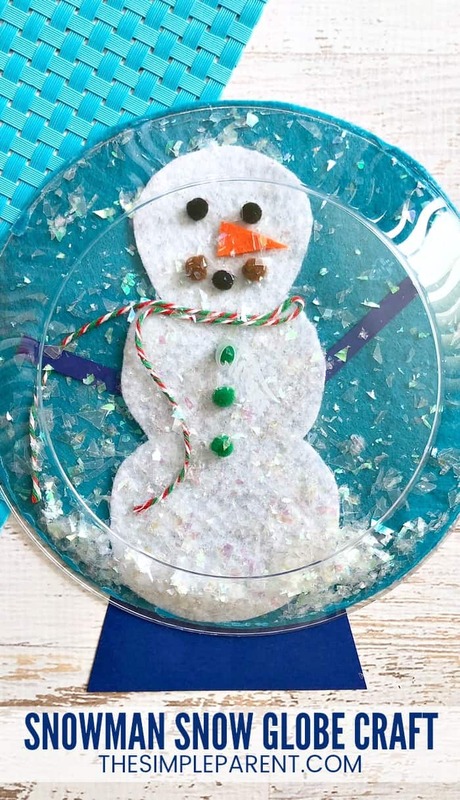 Whether your kids are out of school on a snow day or you just want to get in the winter mood, making this Snowman Snow Globe Craft is a cute way to have fun together! I plan most of our crafts for my kids so this snow globe is a great addition to toddler winter craft ideas you might be planning for your kids. But the beauty of this craft is that older kids can have just as much fun helping or getting creative making their own! I should also mention that there’s also a lot of flexibility in what you use to decorate your snow globe, so don’t be afraid to just use up odds and ends that you have in your craft cabinet. Here are some affiliate links for some of the materials in case you need to order anything. If you’re going to make winter crafts with your younger kids, I suggest cutting the felt pieces before you sit down to craft with them. If you have all of the felt pieces ready to be glued, things will go smoother because your kids won’t have to wait while you do the cutting! 1. 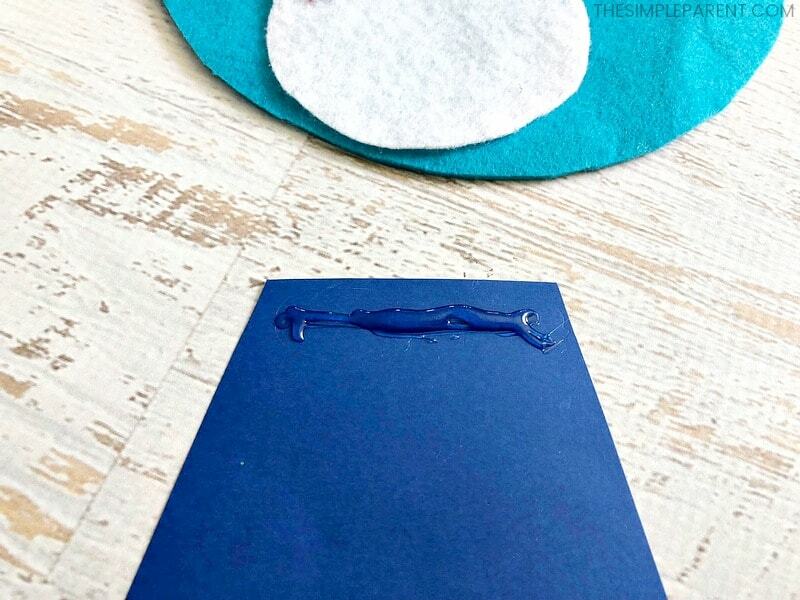 Trace your plastic plate onto the bright blue felt and cut out with scissors. 2. 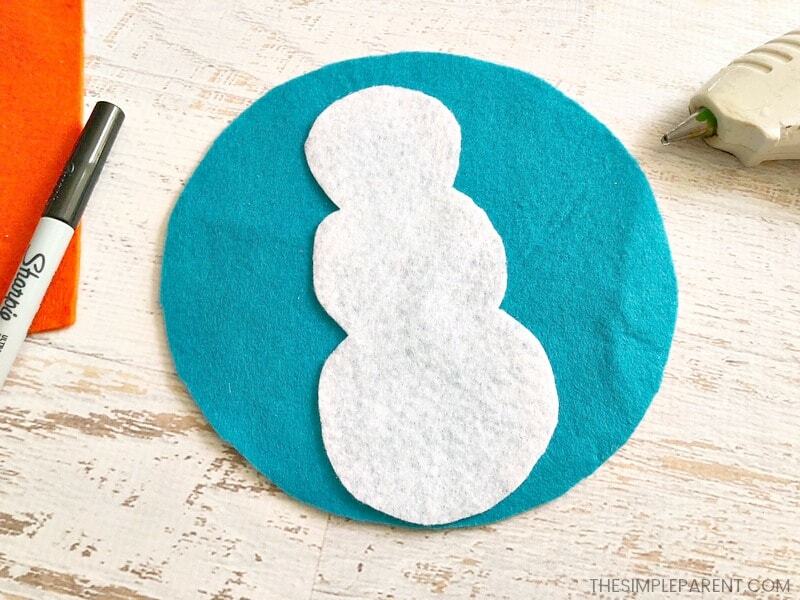 Draw a snowman no larger than the blue felt circle and cut it out with scissors. 3. 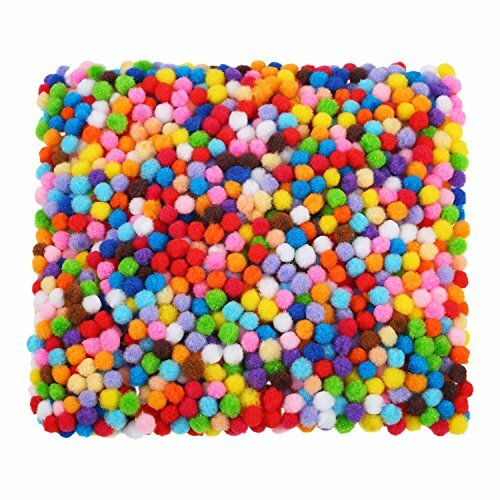 Glue your tiny pom-pom balls onto the face of your snowman for the eyes and the mouth and three for the buttons down the center of the snowman. 4. Fold an 8-inch piece of twine in half and glue it to the neck of the snowman for a scarf. 5. Cut out two thin rectangles about 4” long and glue to the center of the snowman for arms. 6. 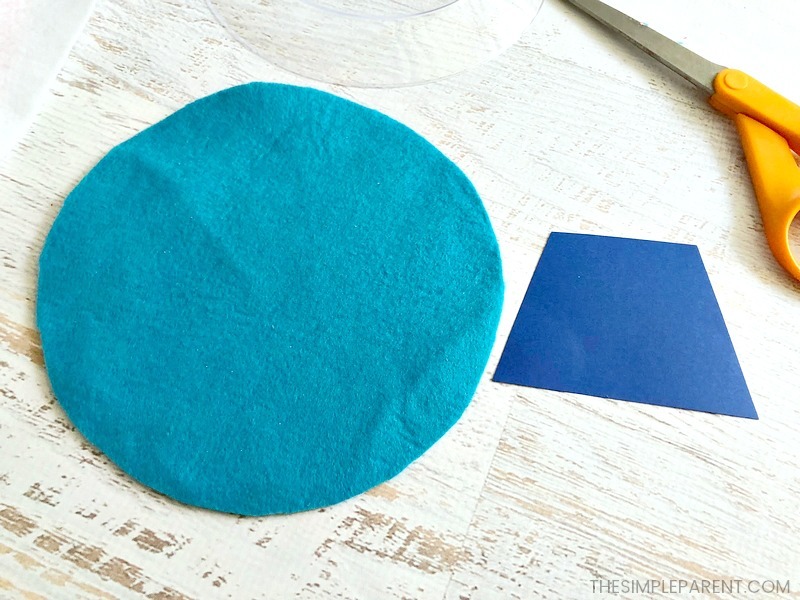 Cut out a trapezoid from your dark blue cardstock and glue to the bottom back of your blue felt circle. 7. Place a small handful of your buffalo snowflakes on to the center of your blue felt circle. 8. 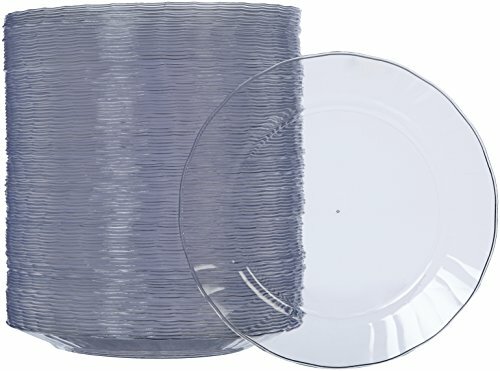 Use the hot glue gun to glue the edges of your plastic plate onto the round felt circle carefully so the snow doesn’t fall out. 9. Let the glue dry completely before shaking the snowglobe and watching the snow scatter! And that’s the easy way to make a snow globe without water! Trace plastic plate on blue felt and cut. Draw and cut out a snowman no taller than the circle. 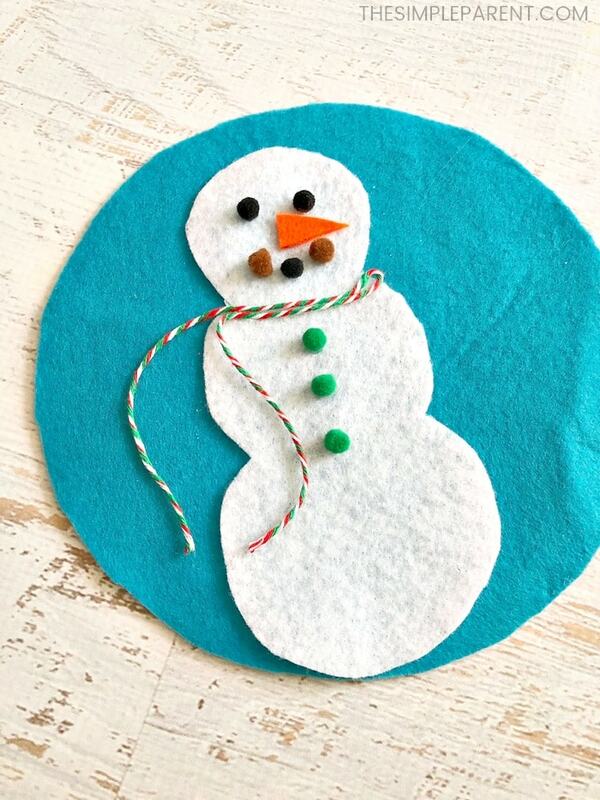 Glue pom poms and felt triangle on snowman for face and buttons. Fold 8″ piece of twine in half and glue on for scarf. Make arms with two thin felt rectangles. Cut trapezoid shape out of blue cardstock and glue to be the snow globe stand. 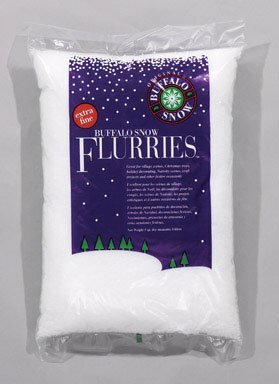 Sprinkle buffalo snowflakes in middle of blue felt circle. Use glue on edges of plate and press on top of felt circle. Whether you’re stuck inside on a snow day or just hoping to see a flurry winter crafts for kids are a fun way to spend some time together! If you need more things to do with your kids this winter, check out some of our favorite DIY snowman crafts or try making a Pom Pom Snowman Magnet! We’ve also got a great January Bucket List of Activities for Kids! 31 activities for 31 days of the month! Mariah is a former teacher and mother of two amazing kids who keep her on her toes! She's a busy WAHM who is always looking for ways to make parenting a bit easier while still making amazing memories! When not at the baseball field or dance studio, she's making easy recipes and planning simple (but fun!) things to do with her kids! Read more about Mariah! « Learn How to Make Football Brownies for the Big Game! TheSimpleParent.com is a participant in the Amazon Services LLC Associates Program, an affiliate advertising program designed to provide a means for sites to earn advertising fees by advertising and linking to Amazon.com. All thoughts and opinions are 100% our own.